Looking for inspiration? You've come to the right place! Self Dev Radio broadcasts insightful personal growth interviews and smooth music around the clock, with our host Karl Moore. 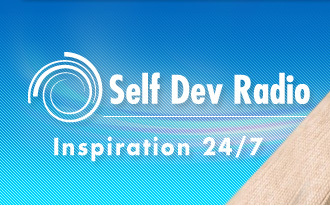 With absolutely NO commercial breaks, Self Dev Radio is a non-profit radio station and streams across the Web 24/7. We're Streaming LIVE NOW - Click the Button to Tune In! Uncover the TWO STEPS missing from The Secret! Amazing new course from Bradley Thompson unveils all.